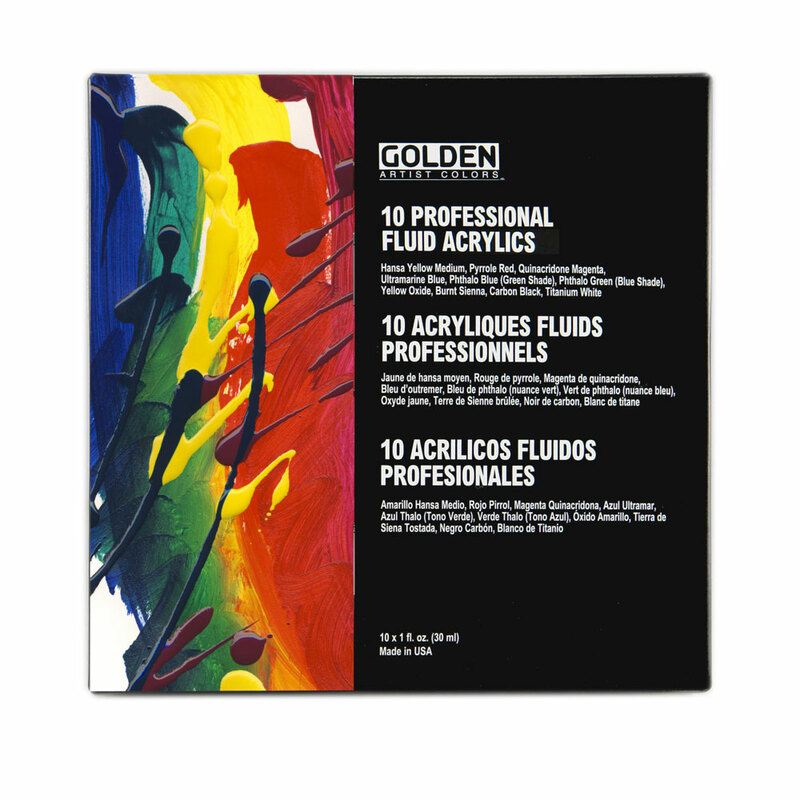 This set offers a selection of 10 x GOLDEN Professional Fluid Acrylic Colours that are fundamental to the serious artist working with fluid viscosity acrylics. The GOLDEN Principal Fluid set provides artists with a cost effective means to setting up a basic palette, capable of mixing a full range of hues, tints, and shades, that can later be supplemented with the wide selection of Fluid colour offerings. Fluids are the most versatile paint formula produced by GOLDEN, easily adaptable to a wide range of applications. They are ideal for spraying, brushing, or mixing with all GOLDEN Colours including Heavy Body and Airbrush Colours. When mixed with water, or GOLDEN Acrylic Flow Release, the Fluids are very useful for staining or watercolour techniques.